Yesterday (13 Aug), a new ash emission occurred from the volcano, the first eruptive activity since early this year. Light ash fall occurred in areas up to 10 km west of the volcano in the small towns of San Jorge, Las Moritas and Piedrita. 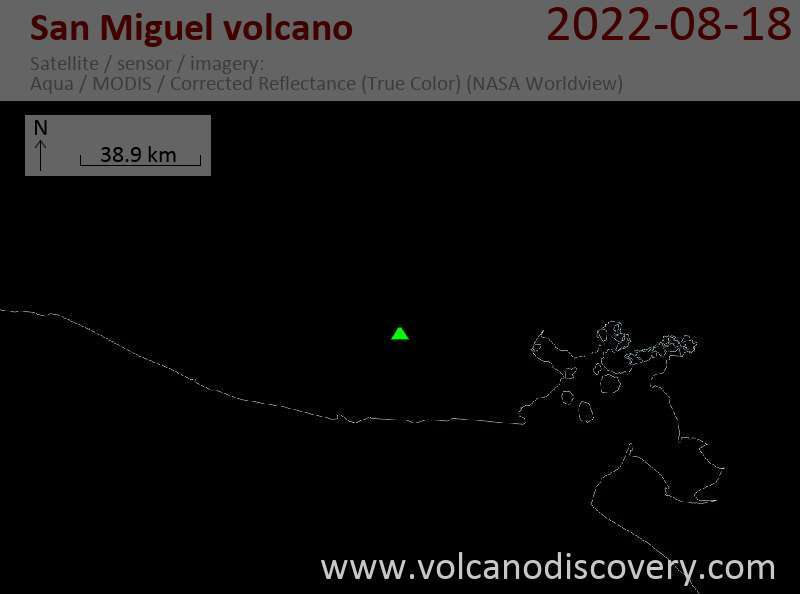 The volcano, however, had remained in state of unrest during the past months, with both elevated seismic and SO2 degassing activity. In particular, seismicity started to rise again in July this year. A peak occurred on 12 August, a day before the eruption. The volcano remains in institutional orange alert, maintained since December 2013.